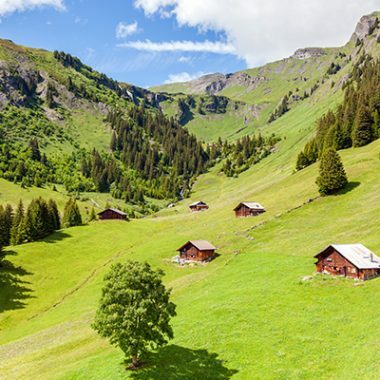 Switzerland may be a small country but Switzerland’s tourism is anything but miniscule. 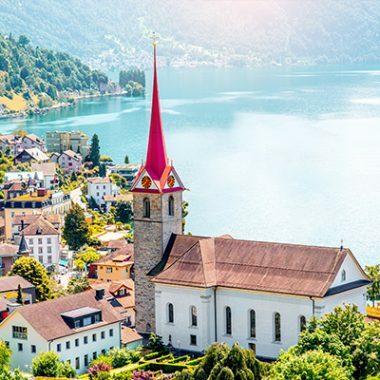 Soaring Alps and glaciers dominate the top Swiss places to visit – there are more than 200 peaks higher than 3,000m – alongside Switzerland’s bucolic countryside, ancient castles, clear turquoise lakes and breathtaking mountain peaks in every direction. The top Swiss foods make travelling around Switzerland a regional surprise, and once you`ve experiences swiss life and culture, you will want to book another holiday here. 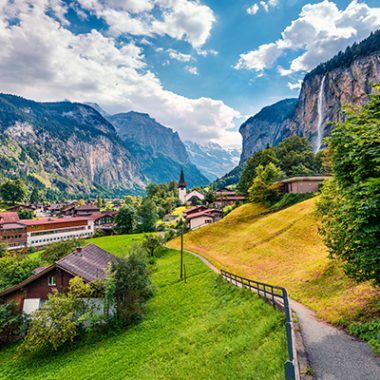 Those who want to experience this European gem will have no shortage of finding places to visit in Switzerland, and will feel safe travelling in this low-crime rate country. Here are just a few of the best and not so well known places to visit which are all covered by Typically Swiss Tours. Clearly there are a myriad of other places to discover, please contact us so we can ensure you get to see what you want. 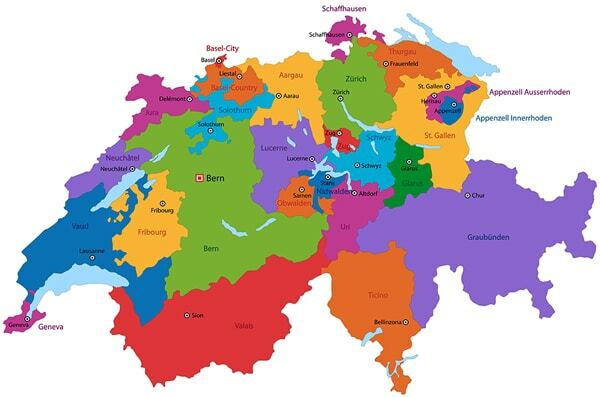 For an overview of Switzerland’s regions, resorts and towns and cities, please click on the links below. This will give you a flavour of the stunning places awaiting you and your group. Then, click on the link for that particular place and it will bring you to the specific tour or tours that visit the area in question. Alternatively click on Tours to see the Tours on offer. Typically Swiss Tours & More is referred to here as TST. Reservations and payments can be made directly via email or telephone. Reservations should be made as early as possible to guarantee the desired departure date and tour of your choice. Every tour is customized for an individual group/person and the listed tour costs are for the number of people listed. The price of the Tour covers the driver guide and the hire of the vehicle for the duration of the tour in question. 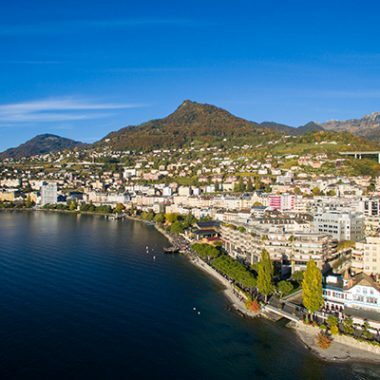 Within 5 days upon receipt of our booking confirmation, a service fee of CHF 250.00 must be transferred to our bank account or payment to guarantee the booking and dates. This charge will be deducted from the final payment which has to be done before the tour begins. If the customer desires a change in the tour schedule, or the date of the tour itself, TST may add a small change fee subject to the desired change. Booking is confirmed after payment. In case of a cancellation of a tour (day or multi-day) the cancellation fees are as follows:f deposit paid up front. Customer entitled to full deposit return if cancellation is made before 21 days before tour. If cancellation is after this date, customer loses deposit. If customer cancels between 100 and 21 days prior to tour date – 90% refund. If customer cancels less than 21 days before the start of the tour: no refund. In case of accident or sickness, the customer has to provide a medical certificate to prove why the tour must be cancelled. With a medical certificate, 90% of the tour fee will be refunded. TST is entitled to cancel the tour if the deposit or the final payment is not received on time or for emergency cases. In such instances, the above-mentioned cancellation costs are imposed. In cases of force majeure or under circumstances that make the journey impossible or unsafe, TST will reimburse the paid amounts to the extent to which TST will not be charged for the cancelled services imposed by contracted hotels, travel agents, tour companies, etc. (Special conditions may be noted on an offer.) For emergency cancellation by TST(death, accident by company member or close family) TST is allowed to cancel the tour on short notice and reimburse 100%. If client wishes TST organise an alternative tour but there is no rate guarantee. In case of accident or sickness, the customer has to provide a medical certificate to prove that the booked person cannot join the tour. With a medical certificate, 75% of the tour fee will be refunded. If the customer doesn’t show up at the agreed time, TST is not responsible if the customer misses the tour. However, TST will be entitled to charge the full amount of the booked tour. The participants are not insured by the organizer. The participants are obliged to provide their own health and accident insurance coverage for the planned activity. The responsibility of TST as the tour operator or/and their suppliers is limited. The tour operator is responsible for providing the services outlined in it’s website/brochure/offer. All services are subject to the laws of the country in which they are provided and to the conditions specified by the relevant suppliers. In the absence of negligence of TST the participant waives any claim against the operator for injury, damage, loss, delay, irregularity (consequential or otherwise) or for any other cause to person or property which may occur in connection with such tour services or through the act of default of any company or person rendering any of the services included in the arrangements of the tour or otherwise in connection therewith or of any hotel proprietor or employee. TST and/or their suppliers can accept no responsibility for losses or accidental expenses due to delay or changes in schedules, defaults, or overbooking of activities of 3 rd party partners, sickness, weather, strikes, war, quarantine or other causes. All such losses or expenses will have to be borne by the participant. Baggage and small articles (coats, etc.) are at the owner’s risk throughout the tour. Any further liability of TST is excluded, irrespective of whether it is based on contractual or other grounds. The liability for property damage and financial loss is, in all cases, restricted to double the price of the program per person. The right is retained to decline, accept or retain any person as a member of the tour or to cancel or alter the tour. The participants’ contract in use by the companies when issued, shall constitute the sole contract between the companies and the purchaser. All legal relationships between the participant and TST are subject to Swiss law. Bern, Switzerland, has been agreed upon as the place of exclusive jurisdiction. We collect information about you when you register with us or place an order for products or services. We also collect information when you voluntary complete customer surveys, provide feedback and compete in competitions. Website usage information is collected using cookies. We collect information about you to process your order, manage your account and, if you agree, to email you about other products and services we think may be of interest to you. We use your information collected form our website to personalise your repeat visits to our website. Typically Swiss Tours will not share your information for marketing purposes with other companies. We would like to send you information about our products and services and other companies in our group which may be of interest to you. If you have consented to receive marketing, you may opt out at a later date. You have the right at any time to stop us from contacting you for marketing purposes. If you no longer wish to be contacted for marketing purposes, please email us at info@typicallyswisstours.com and we will take you off our mailing list. Cookies are text files places on your computer to collect standard internet log information and visitor behaviour information. This information is used to track the visitors use of the website and to compile statistical reports on website activity. For further information visit. You can set your browser not to accepts cookies and the above website tells you how to remove cookies from your browser. However, in a few cases some of our website features may not function as a result.